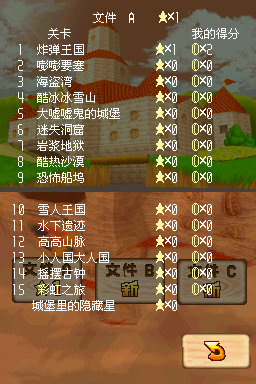 Underground Switch Star is the seventh mission of Hazy Maze Cave, exclusive to Super Mario 64 DS. From the start of the level, the player needs to take the path on the right and enter the next room. 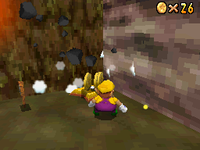 As Wario, the player needs to destroy a Black Brick at the back of the room to uncover the Star Switch. The player then needs to change to a different character by taking a cap from a nearby Goomba as Wario will not be able to reach the Star Sphere in time. Once the Star Switch is pressed, the Power Star will appear in the Star Sphere on the opposite side of the room, on top of the ledge with the pole that leads to the upper area. The player then has to reach the Power Star in time, either by using Mario's Wall Kick or the lift up the steps, in order to collect it. This page was last edited on September 11, 2018, at 06:31.